The UZI tactical defense pen has a gray anodized aluminum body with a spike top glass breaker tip. The retractable pen tip simply twists to open and close. The pen writes well and has a replacement pen ink cartridge. Pocket clip for easy carry. This is a great self-defense tool in a package that makes it easy for everyday carry. Great, but needs a better ink cartridge. I've bought two uzi pens and so far both cartridges that came with the pens need improvement. 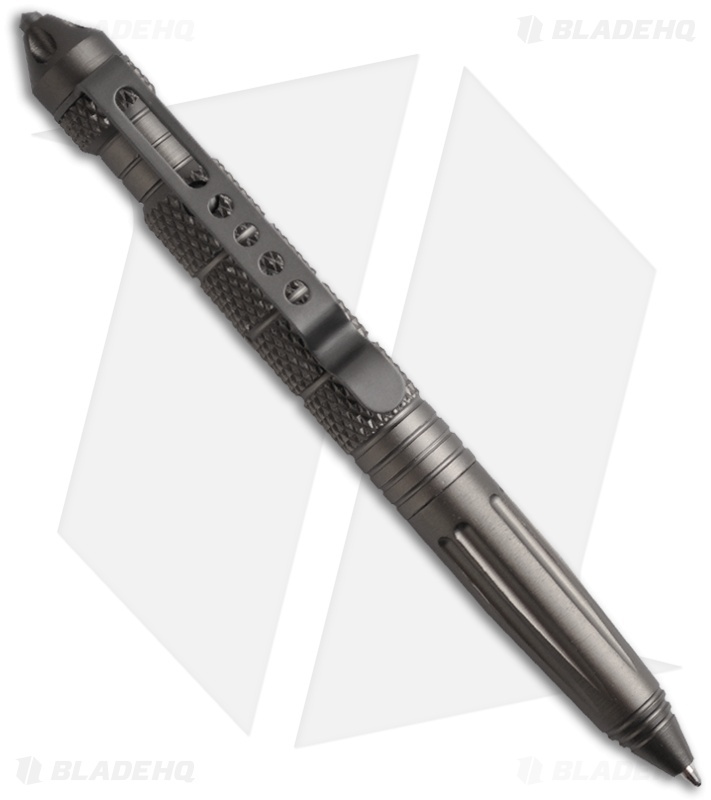 However, the pen construction itself is great and nice to write with. 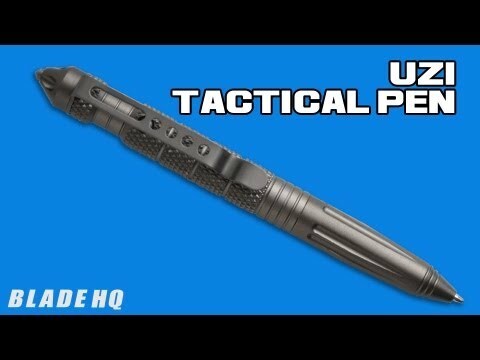 I absoulutly love this pen... Use it everyday for writing and the spacer fish pen refills work great.... Nice knowing you have a bit of protection that can be carried everywhere... Even when flying.